Ready for move-in! Professionally managed & impeccable 5 bedroom 5 bathroom home boasting approx. 4,500 sqft of living space! Gleaming hardwood floors, amazing finishes & modern fixtures throughout. Entry foyer splits to study, formal dining & great room featuring soaring heights, wood-burning fireplace, appealing columns & floor-to-ceiling windows providing tons of natural lighting. Top notch kitchen w/stainless steel appliances (all stay), center-cut granite countertops, custom 42" cabinets w/lighting & displays and center island. Family room w/gas fireplace walks-out to oversized deck which includes hot tub (as-is). Fenced backyard & main floor laundry area. 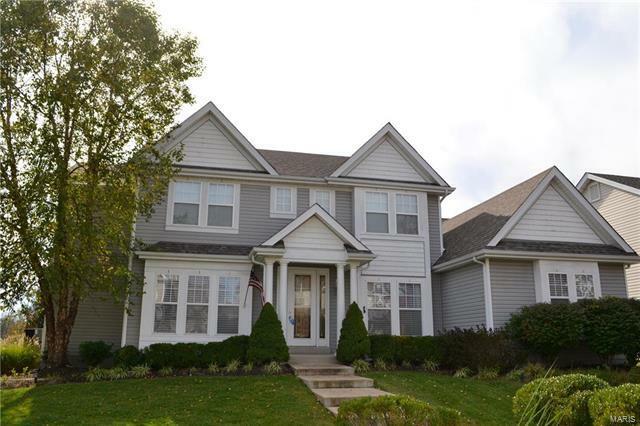 Main floor master suite w/coffered ceilings, walk-out to deck & executive master bath. Front upper wing includes additional 3 bedrooms (possible 2nd master) & 2 full baths. Additional rear upper wing or 3rd master suite. Full walk-out basement (unfinished). PETS negotiable, view today!